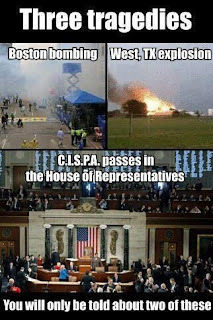 Lady Bunny Blog: CISPA PASSED THE HOUSE! GRRRR! FROM FIGHT FOR THE FUTURE.COM: It’s time to get pissed. The U.S. law that would turn Google, Facebook, and Twitter into legally immune government spies just passed the House. This bill affects everyone -- not just U.S. citizens. Anyone with a Facebook account could now have their data shipped directly to the U.S. government. 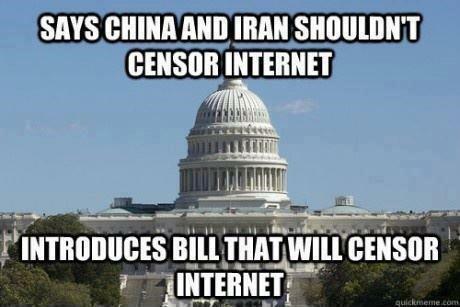 That's why Internet users overwhelmingly oppose this bill. Over 1.5 million people signed petitions against it. But Congress didn’t listen. Does this remind you of something? 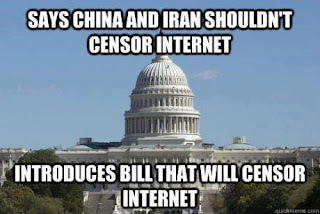 Yep, this is the exact position we were in with SOPA last year. Then the Internet rose up and we made history with the SOPA strike. 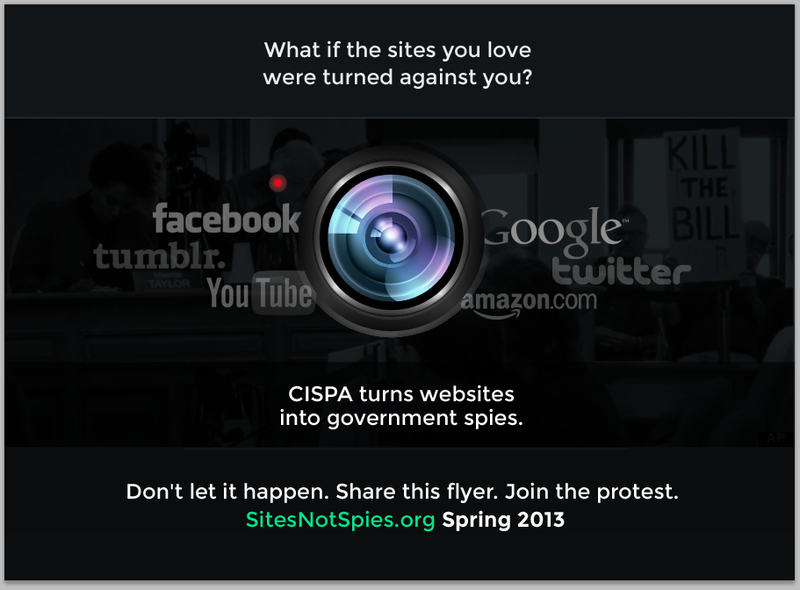 This spring, we’re going to organize the largest online privacy protest in history to make sure that CISPA goes the same route as SOPA and doesn’t become the law that breaks the 4th Amendment. Are you in? 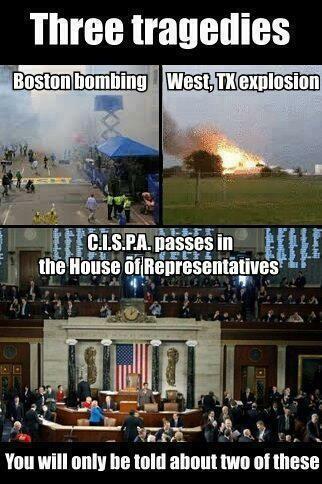 CISPA threatens our most basic rights. Privacy is important not just for our security but for our rights to freedom of expression. 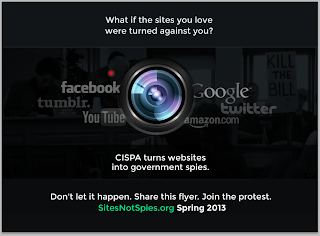 The giant tech companies that stood with Internet users against SOPA are not going to help us this time (but some of the large sites like Mozilla, Imgur, and Reddit are all against CISPA and we love them). Only a massive grassroots outcry will stop this bill. We’re starting to build the tools. But we need your help. Can you share the flyer below on social media? And tell everyone you know to sign up to join the protest?